Love relationships between male immigrants and South African women are often infected with certain cultural prejudices. Differences in culture and nationality play a role in how these relationships play out. Both males and females have their own beliefs with regard to these relationships and these borders on myths and legends. This is in addition to the material values which are attached. 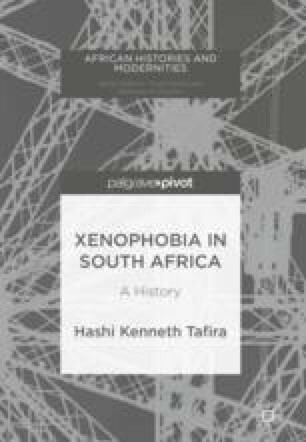 Love relationships between male immigrants and South African women are a major source of resentment, tension and xenophobia in the township. There is however, always room for negotiation and that is circumstantial. Stereotypes, culture, difference and certain particularisms weigh heavily in these relationships. These do not only abide to immigrant males but South Africans of different ethnic origin. All these comprise a gamut of historical constructions of identity and difference.